Ruan Yisan, historic preservationist and professor of architecture at Tongji University, will receive the 2014 Henry Hope Reed Award on March 29 (Saturday) at the John B. Murphy Memorial Auditorium in Chicago. Ruan will receive the award in conjunction with the Richard H. Driehaus Prize ceremony, at which the Driehaus Prize will be presented to Italian architect Pier Carlo Bontempi. 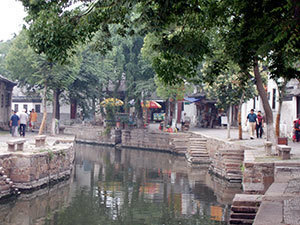 A native of Suzhou, China, Ruan has been a consultant for numerous conservation projects in historical cities in China including Yangzhou, Hangzhou, Shaoxing, Pingyao and Lijiang. 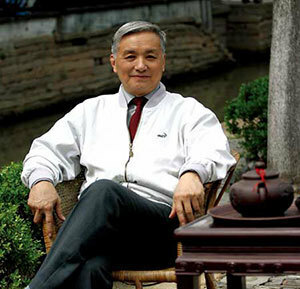 He supervised the Yangtze River Water Towns project and the Pingjiang Historic District project of Suzhou, both of which received Asia-Pacific Heritage Awards from UNESCO. Ruan also has been honored by France’s culture ministry as a Knight of the Order of Arts and Letters for his contributions to the conservation of World Heritage sites. “Through large-scale local interventions, Professor Ruan’s work has become a model for preservation that addresses context in the broadest sense of the term,” said Richard H. Driehaus, founder, chairman and chief investment officer of Chicago-based Driehaus Capital Management LLC. The Henry Hope Reed Award is given to an individual working outside the practice of architecture who has supported the cultivation of the traditional city, its architecture and art through writing, planning or promotion. The $50,000 award is presented annually through the University of Notre Dame School of Architecture, a national leader in incorporating the ideals of traditional and classical architecture into the task of modern urban development. Previous recipients of the Reed Award include David Watkin in 2013, Elizabeth Barlow Rogers in 2012, Robert A. Peck in 2011 and Vincent Scully in 2010. Recipients of this year’s Reed Award and Driehaus Prize were selected by a jury composed of Adele Chatfield-Taylor, president of the American Academy in Rome; Robert Davis, developer and founder of Seaside, Fla.; Paul Goldberger, contributing editor at Vanity Fair; Léon Krier, architect and urban planner; Demetri Porphyrios, principal of Porphyrios Associates; and Witold Rybczynski, Meyerson Professor Emeritus of Urbanism at the University of Pennsylvania. The awards ceremony will begin at 11 a.m. CDT and is open to the public. Originally published by Notre Dame News at news.nd.edu on March 19, 2014.